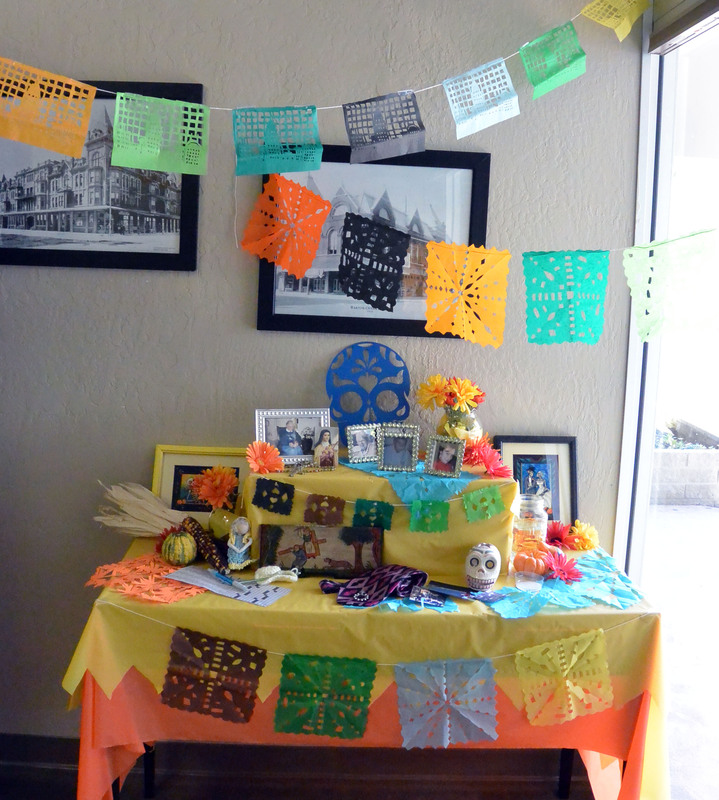 We decided to decorate for Dia de los Muertos in our office to coincide with Arte Americas’ Cala Gala which will start on the Fulton Mall at 4:00 on Saturday, November 2nd. The thing is, with a holiday like Dia de los Muertos, you don’t simply decorate for it like you would for Halloween or any other celebration. 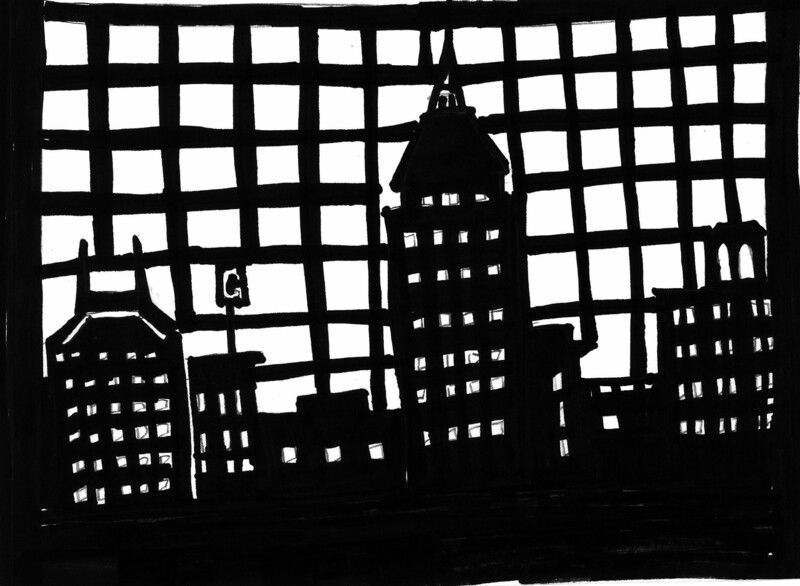 It’s not just about putting up thematic knicknacks, like the spiderwebs or zombies you might use on Halloween. 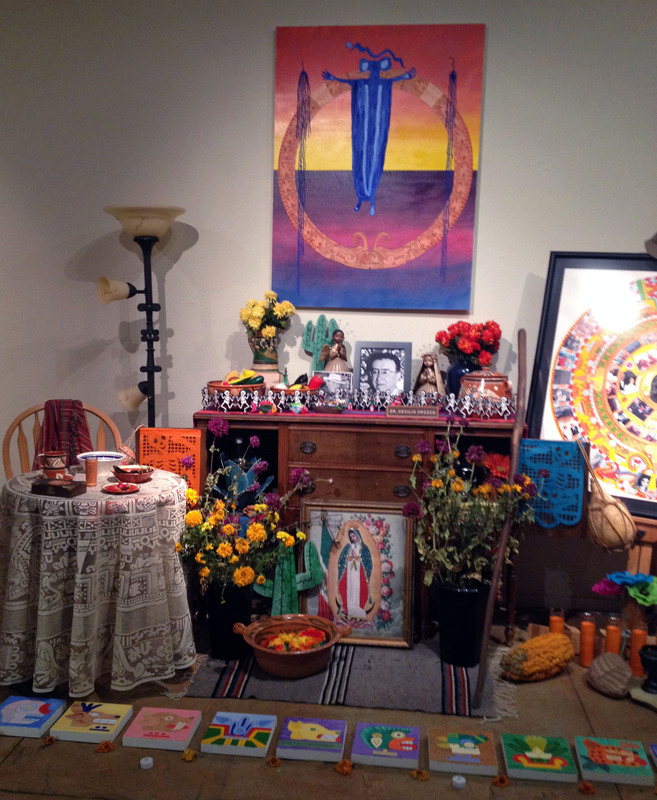 To have an authentic display it requires intentional preparation, so as a team we decided to create an altar. Not necessarily a conventional thing in an office setting, but we did it anyway because we aren’t always a conventional office. It ended up being an incredibly personal process that allowed us to share with one another about the people who have been important in our lives and aren’t with us anymore. A grandfather’s favorite tie, a grandmother’s crochet hook and a crossword puzzle, the finger rosary a grandparent used to pray on daily, a handed-down heirloom from Slovenia. We made sure to incorporate the traditional elements- water, salt, fire- though since we’re in an office the candles are unlit. Tomorrow we’ll be bringing in the pan and fruit. And then there’s the papel picado. If you’ve never created an altar before don’t be intimidated- it seems complex but once you get started you realize you already have everything you need to create a meaningful remembrance and celebration of those who have passed on. 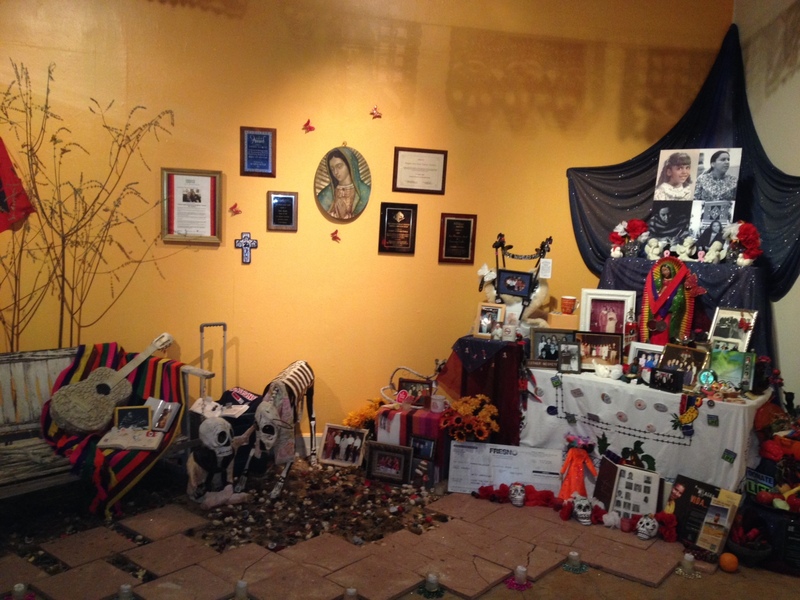 You can learn more about Dia de los Muertos here. You can walk through the gallery at Arte Americas for inspiration, they have several assembled and it’s like getting to know the people who the altars are erected for. 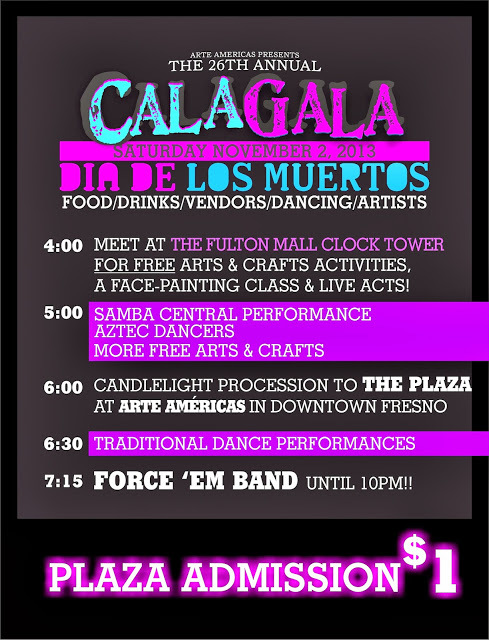 And of course, don’t miss the Cala Gala on Saturday!